After the opening round of Allianz Football and Hurling League games, Tomás Ó Sé and Brendan Cummins joined Will Slattery, Michael Verney and Conor McKeon to review all the big games. Is it too early to raise question marks after Dublin's defeat to Monaghan in Clones and are Kerry going too defensive after their dour victory over Tyrone? "The young Kerry lads stood up," said Tomás. "There’s a good panel there and a bit of a buzz with the lads wanting to ramp it up. 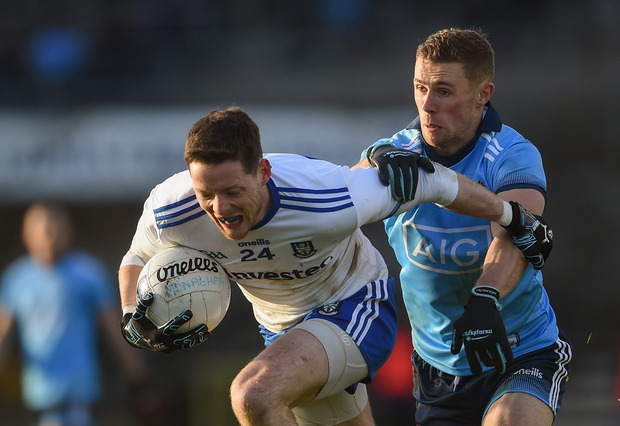 It was a great start and if they beat Cavan and then have Dublin in Tralee, they’ll have nothing to lose." In the hurling, Brendan Cummins says the shadow boxing is going on until the summer and Tipperary against Clare in Ennis in the Munster Championship will be a different matter altogether. While Cork's performance against Kilkenny was described as 'abject', there is still so much to admire about Kilkenny and how Brian Cody has once again brought in and developed new talent. Plus, Will and Michael give their performances of the week - Colin Guilfoyle's one-handed point or Sean O'Shea's outrageous sideline anyone? - and the night after the Royal Rumble, they ask what GAA star would make it in the WWE?